Over the past 5-6 months, I've been looking for an ideal way to have submitted Google Form responses go to my students in the form of an email and I think I finally have my solution! This has been around for a while and I remember looking at the FormEmailer script a while back but for some reason I didn't go as in to detail with it and didn't think it would fit my needs. Double backed to it today and I'm super excited to use this going forward! Here are some directions and my use case to share in case others want to try using this. 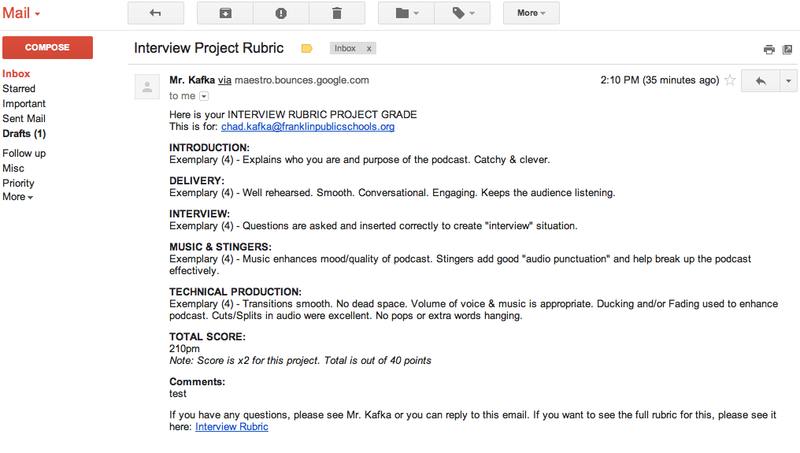 First, I created my rubric Google Form. An example of this is here. This Google Form would be only for me to fill out as the teacher. 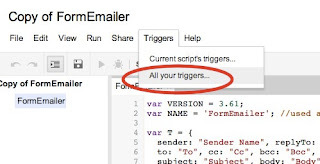 I followed Henrique's video and the steps below the video to install the script in my Google Spreadsheet. 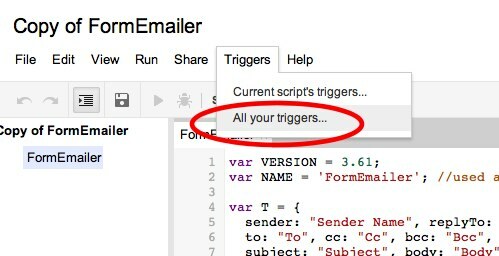 I went to TOOLS > SCRIPT GALLERY and did a search for "FormEmailer." Two scripts came up. The screenshot below shows the one you should install to your spreadsheet. After crafting this email, I went and filled out the form, making sure to choose my own email address as the "student" for now just to test things out. I saw the data from the form go into the spreadsheet. I then went to FormEMailer > PROCESS MANUALLY and was asked what row to send, so I chose row "2" which is where my student submission was. The email went through and looked good but I tweaked a few things back in the FormEmailer > Settings area and ran again until things looked the way I wanted. 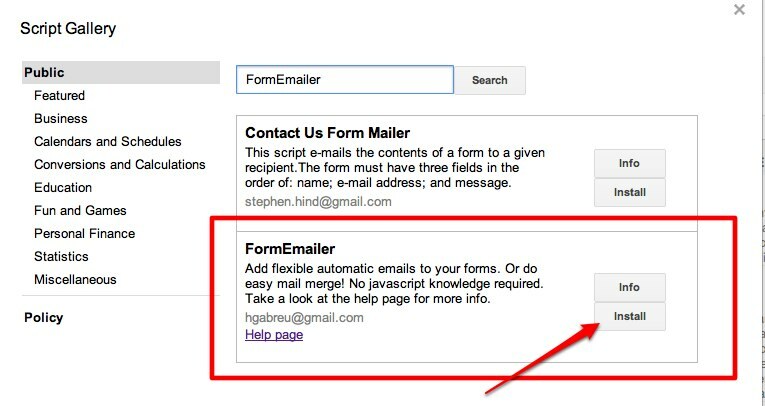 After testing a few times, I decided I want to turn on the ability for the form to automatically go to the recipient when the form is "SUBMIT"ed. The details on Henrique's site didn't say how to do this in the newest version of the script so I threw out a call on Twitter. Thankfully, new tech friend Michelle Russell shared with me what a "trigger" was and how to turn it on. I went back in to the spreadsheet and went to TOOLS > SCRIPT EDITOR. 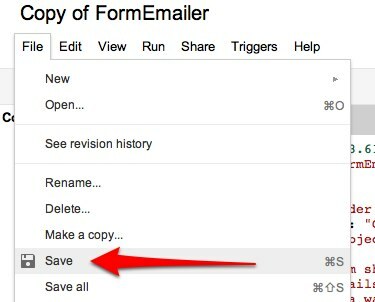 I clicked on "Copy of FormEmailer" as shown below. The Script window opened where all the code for this script was located. Scary. I didn't touch any of it! Go to TRIGGERS > ALL YOUR TRIGGERS. In the "All your Triggers" window, I clicked ADD A NEW TRIGGER and made sure the windows showed what is shown below. I checked out the notifications link and you can have the spreadsheet email you if there's a problem. I set that to email me immediately if there's a problem. Screenshot below of my choices. I clicked SAVE in the Triggers window and then went to FILE > SAVE in the script window just to be sure everything saved. I then tested filling out the form and seeing what happened. Totally worked! 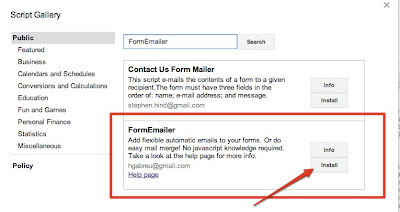 Any new submission sends the email address in that row the email I created with the details. Screenshot below of the email the students will receive. So in the end, I now have a digital rubric I can use with my students to be able to quickly and efficiently email them feedback on a project. 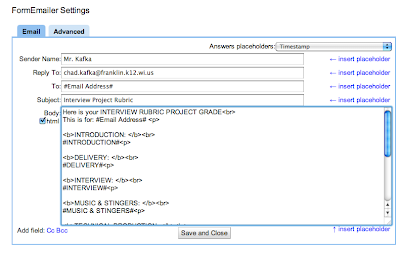 Entering student email addresses into the first question of the form is what will take me the longest, but for that little bit of time for the bigger payoff of authentic feedback (and no paper!) it's totally worth it. I suggest you try it out and see what you think. This is a also a great resource for administrators looking to do walk-throughs or staff feedback forms when visiting a class. P.S. Check the "help/troubleshooting" section of Henrique's site if you run into any problems.